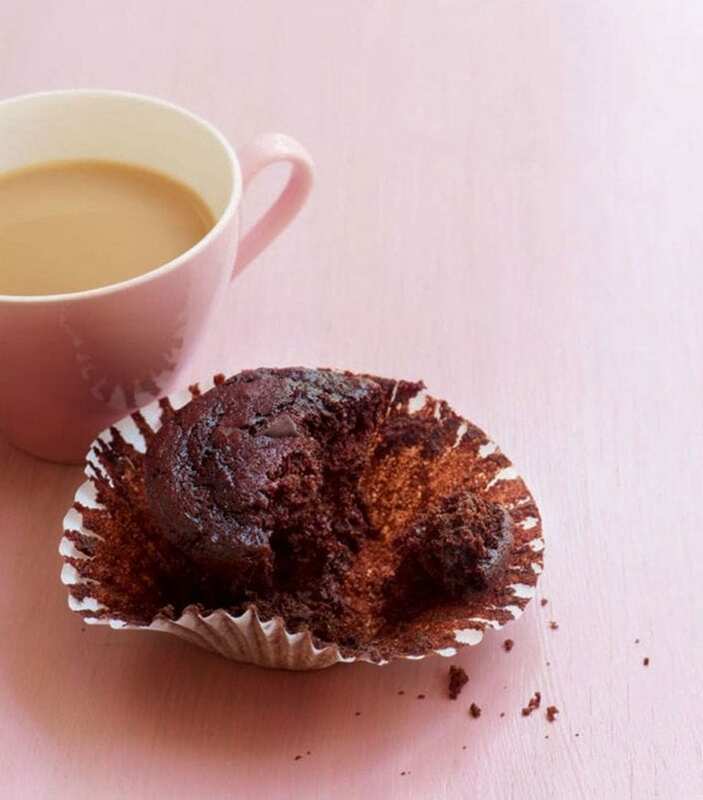 Use low-fat yogurt and grated beetroot in this chocolate muffin recipe for a low-calorie and delicious treat. Preheat the oven to 180°C/fan160°C/gas 4. Line a muffin tray with paper cases. In a large bowl, whisk the eggs and muscovado sugar together for 10 minutes until the batter is light and fluffy and has expanded in volume. Whisk in the finely grated beetroot. Sift over the flour, cocoa and baking powder, then carefully fold into the mixture. Fold in the yogurt, vanilla paste and chopped chocolate. Spoon the batter into the muffin cases until they are three-quarters full, then bake for 15-20 minutes. Remove the muffins from the oven and allow to cool slightly in the tin. When they’re cool enough to touch, remove to a wire rack to cool completely.